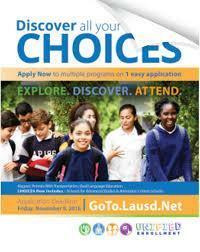 The window for late applications submitted through e-Choices or LAUSD's Unified Enrollment is now open. If you are still interested in applying to our magnet or language immersion program, please submit your application today! For more information, please feel free to contact our Main Office or take a tour of our campus each Tuesday at 8:30am.